Elderslie twins Erin and Kiara Bloor are determined to reach the top in netball. Both Erin and Kiara are keen to follow the Netball NSW athlete talent identification pathway to its very end and play for the Sydney Swifts, or GWS Giants franchise. It’s this sort of commitment that secured them training partner contracts with the strong Sutherland Premier League club as part of its U/23 development program. The dynamic duo have played representative netball for Camden District Netball Association and have also been selected into the South West Sydney Academy of Sport – Walker Corporation sponsored netball program, for the third consecutive year. The 16 year old sisters continue to represent SWSAS with pride and determination, taking on everything that head coach Van Nguyen has to offer. Ms Nguyen says the twins work hard and are great role models for the younger girls coming up through the squad. 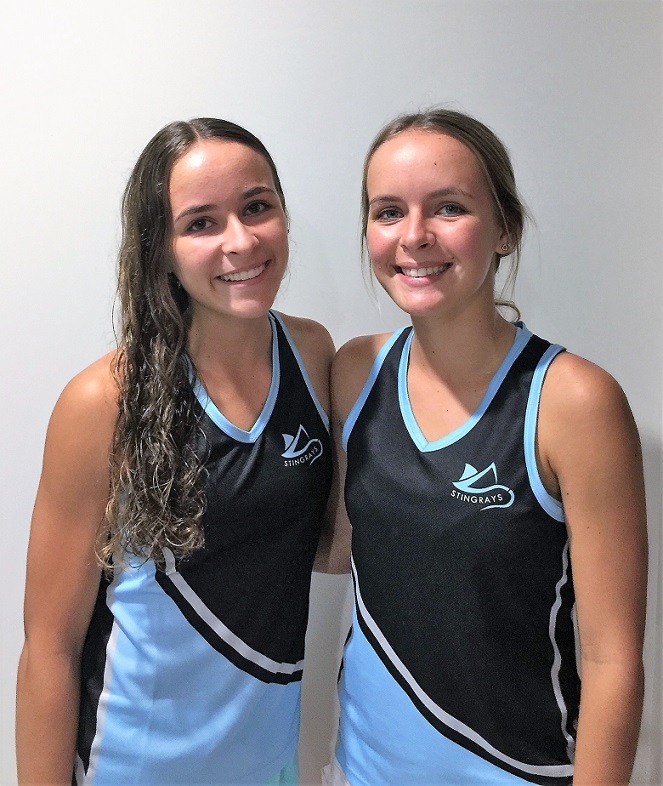 Determined to make it to the top: SWSAS netball twins Erin, left, and Kiara Bloor say time management skills learnt at the academy are really helping them balance their Sutherland Premier League club and SWSAS training commitments. “They deserve this opportunity to further their own development,’’ she said. Nguyen says it’s harder than ever to make a Premier League squad because the age bracket for trialing changed from 20 to 23 years old last year. The girls were also amongst many from across NSW that were lucky enough to be invited to trial for the NSW Under 17 squad and work alongside highly skilled Netball NSW mentors. Erin made it to the second trial phase, with Kiara progressing to its third phase. The twins are not daunted by not making the final cut; in fact they more determined than ever to succeed. They are heading into 2019 with confidence and are looking to gain more on-court experience as they mature. The South West Sydney Academy of Sport reputation is well known when it comes to supporting the development of high quality netballers, and its highly skilled team of coaches and support staff continue to proudly follow the sporting careers of its past athletes very closely. “If you want to track the journey of our local academy netball athletes, follow South West Sydney Academy of Sport on its website, Facebook and Instagram,’’ says Ms Nguyen.